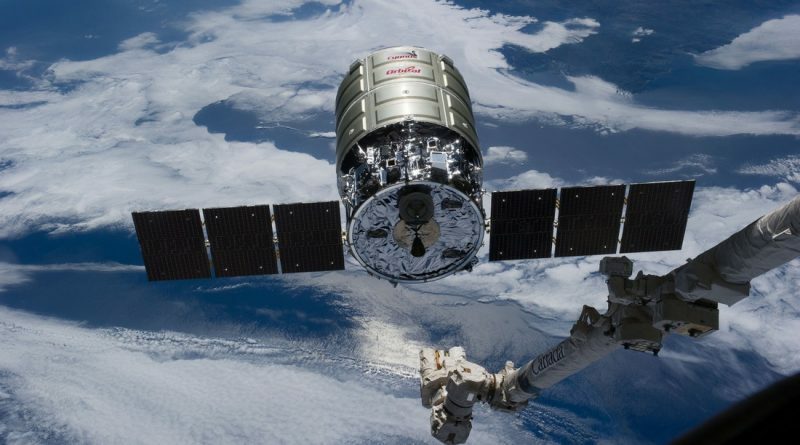 Orbital ATK’s Cygnus resupply spacecraft has entered an orbital parking slot where it is standing by to give the right of way to an inbound Soyuz crew vehicle before it will make its close rendezvous with the Space Station on Sunday to be captured by the ISS robotic arm. 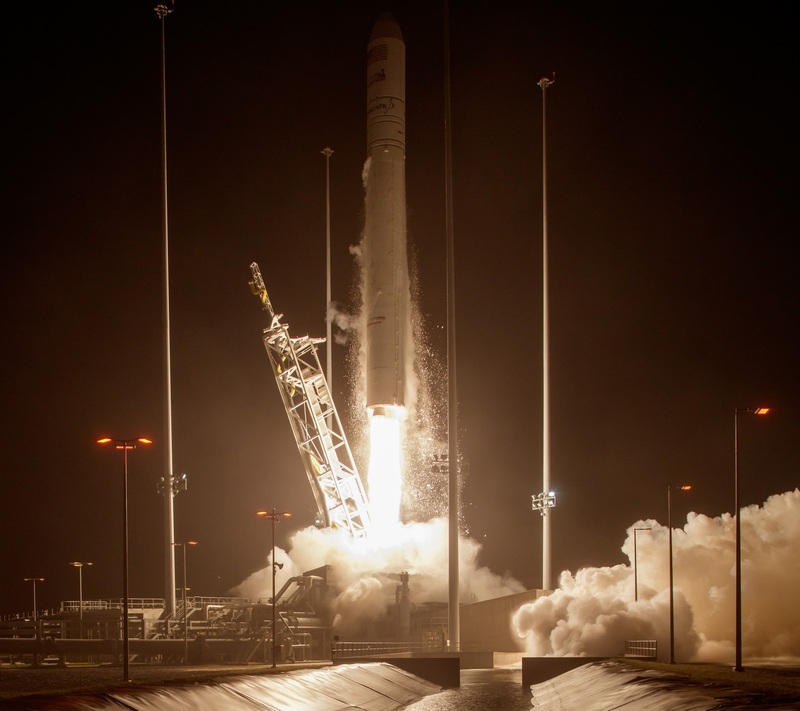 Loaded with 2,350 Kilograms of cargo, Cygnus blasted off from the Wallops Flight Facility at 23:45 UTC on Monday, riding on the Antares Return to Flight Mission that marked the rocket’s first mission since the dramatic October 2014 launch failure. 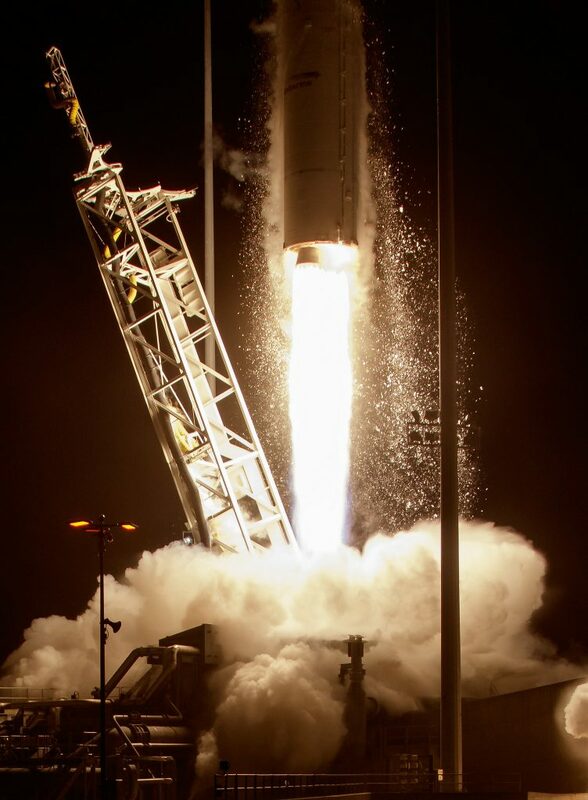 Lighting up the night over Wallops Island, Antares flew to the south-east and exceeded expectations by delivering Cygnus into a higher orbit than predicted – saving the spacecraft some fuel when making its way up to the Space Station. 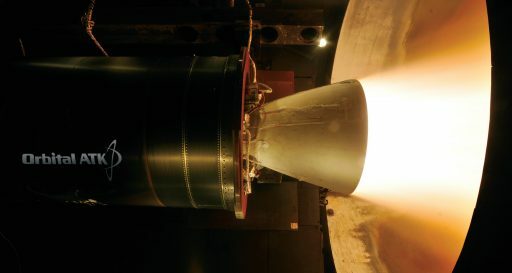 This overperformance was the result of Orbital ATK only having theoretical knowledge on the two rocket stages in play on Monday – the first stage hosted new RD-181 engines that replace the old powerplants identified as a culprit in the 2014 failure; and the second stage, Castor 30XL, had also newer been fired in flight before. Designated Antares 230, the current version of the vehicle uses existing core stages from Antares 100 Series that are modified to host the RD-181 engines built by NPO Energomash. The engines were selected after the 2014 failure when Orbital decided to accelerate the engine replacement originally planned to occur later in Antares’ career when starting the next round of Commercial Resupply Services flights starting in 2019. The new engines – while closely matching the previously used AJ-26 in size and propellant mixture – burn propellant more efficiently and deliver a higher thrust and specific impulse. Overall, the use of the more-powerful RD-181 engines was expected to increase Antares’ performance by 20 to 25% – raising its Low-Earth Orbit payload capacity from 5,350 to 6,655 Kilograms to a reference orbit of 200 x 200 Kilometers, 51.6°. The second stage, an Orbital ATK Castor 30XL solid rocket motor, is a larger version of the Castor 30 used on the first three missions of the Antares rocket and was planned to be first used on the Cygnus Orb-3 mission. Due to the failure a few seconds after liftoff, Castor 30XL could not demonstrate its performance on that flight and instead ended up fueling a long-lasting fire at the crash site. Firing up its RD-181 engines Monday night, Antares blasted off with a thrust of 392 metric ton force which created an initial thrust to weight ratio of 1.30 compared to 1.16 achieved by the previous version of the Antares rocket. Showing off the new engines, Antares rumbled to the south-east as it passed the speed of sound and Maximum Dynamic Pressure for which the engines were briefly throttled back to 55% of rated performance in order to reduce stress on the vehicle. The engines again throttled down just before the T+3 minute mark to maintain a safe acceleration on the vehicle as it got lighter and lighter. The first stage finished its job three minutes and 26 seconds into the flight when the engines made a clean shutdown, having accelerated the rocket to a speed of 3.7 Kilometers per second and putting it on a sub-orbital arc peaking at 172 Kilometers. The hour of Castor 30XL came after brief coast phase following first stage separation with ignition occurring at T+258 seconds on a burn of two minutes and 38 seconds at an average thrust of 30 metric ton-force. While the first stage flew a pre-programmed attitude profile, Castor 30XL used energy management to meet its cutoff target with acceptable precision. The 6,173-Kilogram Cygnus OA-5 spacecraft was aiming for an orbit of 209 by 288 Kilometers, inclined 51.6 degrees from where the mission was expected to begin its climb toward ISS. According to the onboard navigation system of the second stage, an orbit of 214 by 368 Kilometers was achieved – indicating a not insignificant overperformance by the launch vehicle. In a post-launch press briefing, Orbital ATK space systems group president Frank Culbertson acknowledged the overperformance and noted that the company’s engineers used conservative estimates for the performance of the new first and second stages as is common for newly introduced launch vehicles. According to Culbertson, the first stage showed a better-than-expected performance with its engines performing admirably throughout the 3.5-minute burn and the second stage also contributed to the performance surplus. 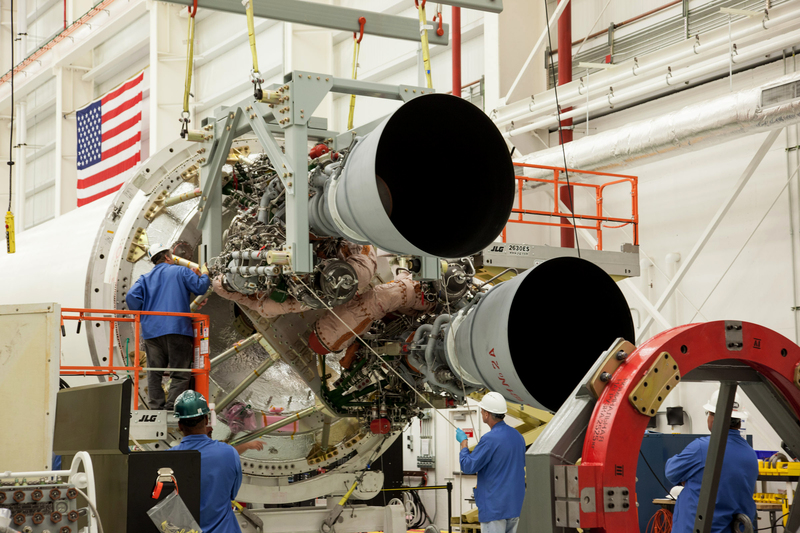 Orbital ATK will use data collected on this mission to calculate updated performance predictions for the new Antares 230 launcher. Cygnus was set free nine minutes and 1.3 seconds into the mission, embarking on an extended five-and-a-half-day rendezvous with the International Space Station. Because crewed missions have priority over supply runs, Cygnus was to take the scenic route – staying at a safe distance to the Space Station to remain out of the way when the inbound Soyuz craft makes its arrival at ISS. 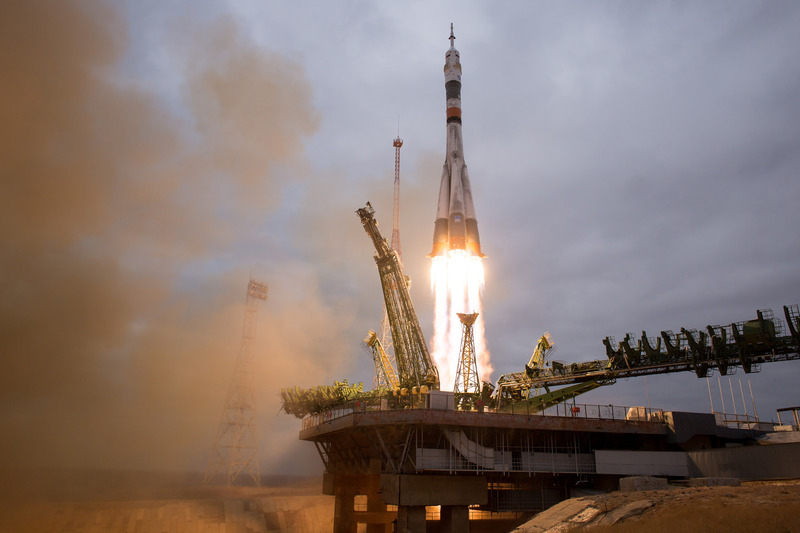 Soyuz MS-02 carrying Sergei Ryzhikov, Andrei Borisenko and Shane Kimbrough made an on-time liftoff at 8:05 UTC on Wednesday and enjoyed a smooth ride into orbit atop their Soyuz FG rocket. 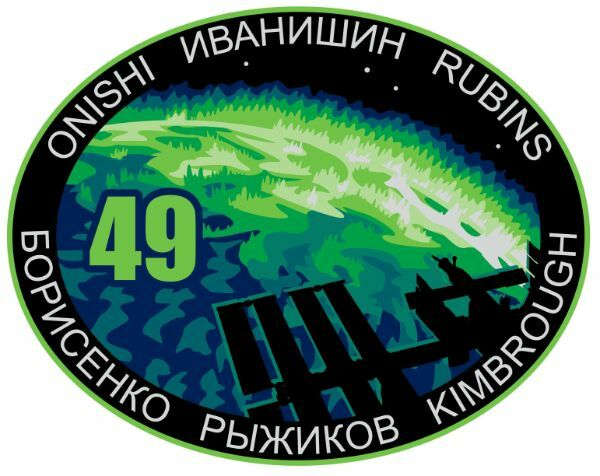 The spacecraft executed its initial orbit-raising maneuvers on Wednesday and is on track for a fully automated docking at 9:59 UTC on Friday. For Cygnus, the mission started with the deployment of its two circular solar arrays, completed one and a half hours after launch and followed by extensive systems checks. Firing up its BT-4 main engine, Cygnus started a series of maneuvers to link up with the Space Station in its 399 by 409-Kilometer orbit above the Earth. By Thursday, Cygnus had reached an orbit of 392 by 402 Kilometers, trailing ISS by 4,000 Kilometers and slowly catching up. Loitering in this orbit will put Cygnus at the safe distance for Friday’s Soyuz arrival and allow it to catch up for an Approach Initiation maneuver early on Sunday. Firing its main engine, Cygnus will lift itself into an orbit 1.5 Kilometers below the Station, still approaching from behind to reach a position where relative navigation between the spacecraft and ISS can be initiated. A pair of Approach Delta-V maneuvers will set Cygnus on a course to arrive directly below the Station for a straight-up climb to the capture point. Heading up the R-Bar, Cygnus will hold its approach twice – first at 250 meters and again at 30 meters to provide Mission Controllers with time for systems assessments and reconfigurations of the spacecraft’s Tridar guidance system. 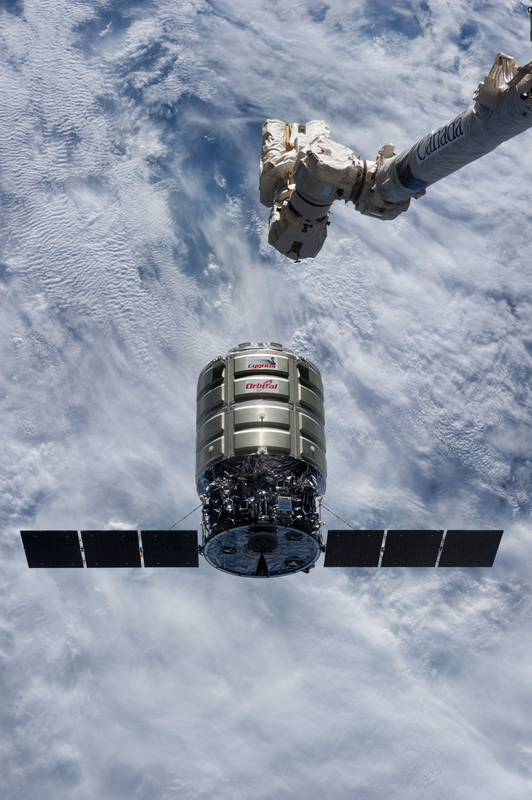 In the Station’s Cupola, Astronauts Kate Rubins and Takuya Onishi will be in charge of sending commands to Cygnus via the Hardware Command Panel. 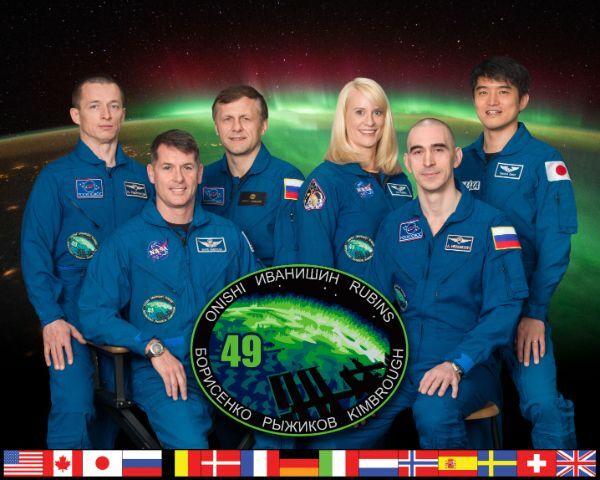 Shane Kimbrough, arriving on Friday aboard the Soyuz, will be purely in a monitoring function, gaining valuable experience for the next Cygnus arrival where he will be in charge of the robotic capture. 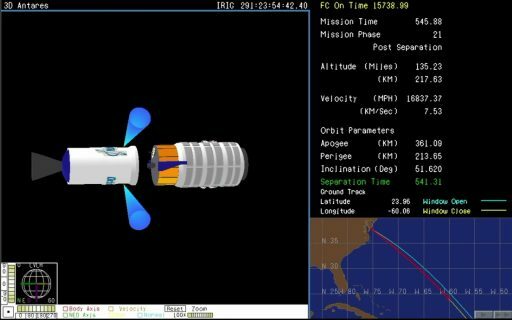 When Cygnus arrives within the arm’s reach, it will automatically stop its approach and eliminate any relative rates between itself and ISS to hold perfectly still for the delicate capture maneuver, expected around 11:05 UTC. Maneuvering the Latching End Effector over the Video and Data Grappling Fixture on the aft end of Cygnus, the crew will command snares to close to obtain a firm grip on the cargo vessel. After Capture, robotic duties will be handed off to ground controllers for the berthing of the spacecraft to the Unity module, kicking off a docked mission of over a month. Hatch opening is on the schedule for later next week, but as previous missions have shown, may occur earlier if the crew elects to put in the additional work late in their day on Sunday.